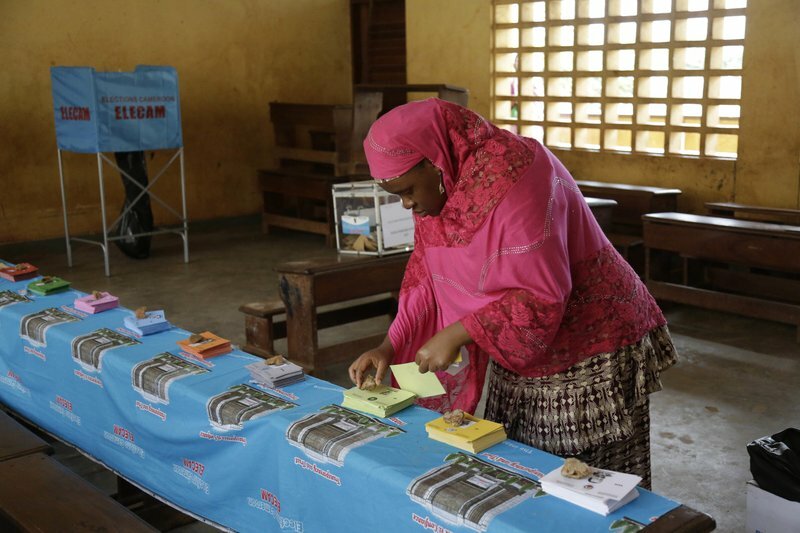 YAOUNDE, CAMEROON (AP) — Thousands headed to the polls in Cameroon Sunday for an election that will likely see Africa’s oldest leader win another term amid fighting and threats from separatists that have already prevented residents in English-speaking regions from voting. More than 200,000 people have been displaced because of violence by both separatists and the military in the English-speaking Northwest and Southwest regions, with many towns simply abandoned. All voters in the English-speaking regions must screened, present voter’s cards and identity cards before they are able to cast their ballots. Numbers were low at the start of the vote Sunday. In the French-speaking regions, however, hundreds lined up early eager to vote. More than 6.6 million people across Cameroon are registered to vote. Even if Biya wins, his mandate could be weakened if voter turnout is low in Anglophone regions. By law, voters can only cast a ballot in the community where they are registered. The Election Commission and government say they will make provisions for displaced voters, but many say they will not be able to vote amid threats by separatists. Cameroon also battles with Boko Haram extremists in its Far North, where more than more than 230,000 people have been displaced.